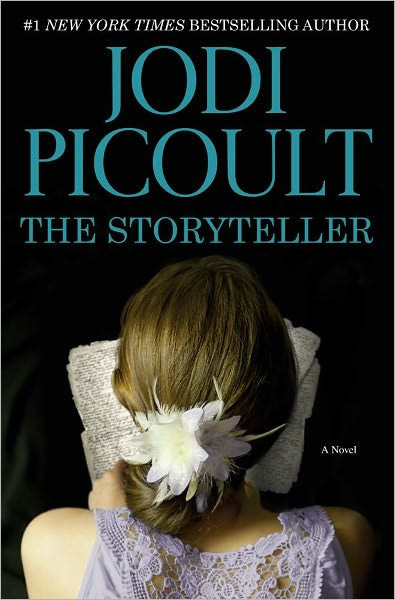 I recently finished reading Jodi Picoult’s The Storyteller, a thrilling story about a young woman, Sage Singer, who discovers that the elderly man she befriends is actually a former Nazi SS guard. When the man asks Sage to help him die, Sage seeks the help of Leo Stein, an attorney who prosecutes former Nazis on behalf of the Justice Department, instead. The case becomes deeply personal to Sage, whose grandmother is a Holocaust survivor. As she explores the past and searches for answers, she grapples with the concept of redemption, and wonders if some crimes can never be forgiven. This book immediately reminded me of the case of the Minnesota man who was investigated for SS ties a few months ago. Even though the case became national news months after The Storyteller was published, it made me appreciate Picoult’s honest writing style. Unlike some other Nazi-hunting stories, this novel shows how tedious and time-consuming it is to prosecute cases like these. Picoult makes the historical elements in her novel deeply present and personal. As a writer, The Storyteller made me realize that it was good to wander– as long as you develop your characters and your settings well. This novel travels extensively. It goes from pre-World War II Poland to Germany to modern-day New Hampshire. We see the deep contrasts between the ghetto, the concentration camps, the old towns and cities, and modern-day suburbs. We hear perspectives from several different generations. The middle of the book features a long, detailed flashback by the grandmother about her experience surviving Auschwitz. This was a hugely ambitious move for Picoult, but in the end, it was successful because she did her research. She added details that made the story vivid and clear; she gave characters complex motivations and histories; she got inside her characters’ heads. Picoult’s dedication to developing relationships among her characters and helping readers understand each one of them makes her books engaging, human, and expansive. When I’m writing, I’m sometimes hesitant to travel or go into different time periods, but Picoult’s writing inspires me to continue learning about the world around me and fearlessly travel in my own stories. This sounds like a great story! I can’t wait to read it!